INTRODUCING THE 2001 FORD F-350 SUPERDUTY XL 2WD AIRCRAFT PUSHBACK TRACTOR WITH 34K MI!! IT IS EQUIPPED WITH OPTIONS SUCH AS MANUAL WINDOWS AND LOCKS, REAR POWER LIFT, AIR CONDITIONING, TOW PACKAGE, FRONT AIRBAGS AND MORE! ALL THE OPTIONS FUNCTION ACCORDINGLY! THE 7.3L 8-CYL ENGINE RUNS GOOD AND AUTOMATIC TRANSMISSION SHIFTS SMOOTHLY INTO GEARS! 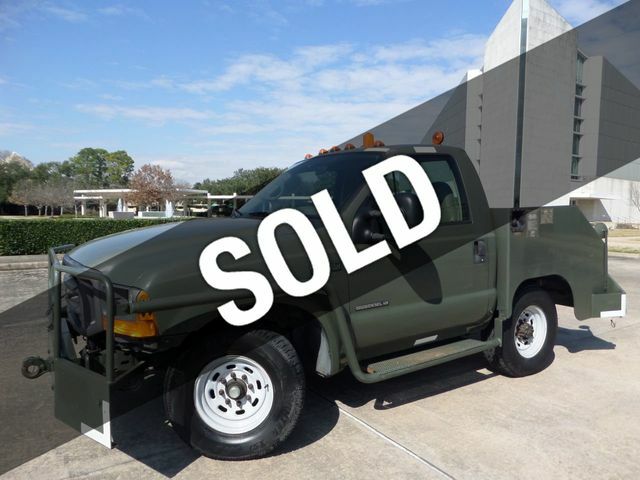 HURRY UP AND CALL GALLERIA MOTORS TODAY AT 713-457-0100 FOR THIS 2001 FORD F-350 XL TRUCK!